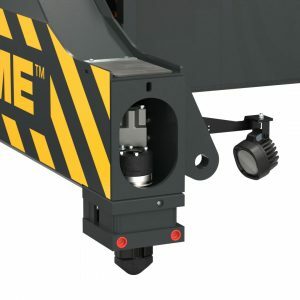 ELME Spreader Model 817 INNOVATION is the New Generation telescopic top lift spreader for handling of laden ISO containers weighing up to 45 tonnes. 817 INNOVATION is designed for mounting on reach stackers. INNOVATION's new and improved design implies a New Generation 817 INNOVATION Spreader with the unique combination of increased structural strength and 16% reduced weight. The New Generation 817 INNOVATION Spreader is estimated to have an increased life expectancy of 30 % related to fatigue resistance and standard load case conditions. The state of the art design implies a lighter spreader with enhanced durability, increased life expectancy for structural parts, optimized hydraulic system and numerous other improvements for an outstanding functionality. 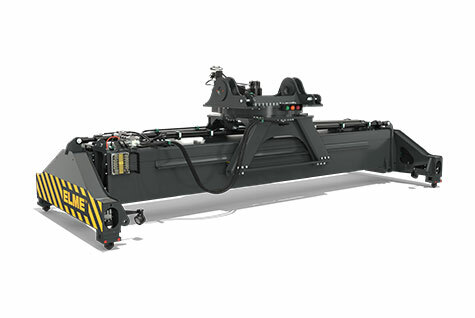 The reduced weight also enables improvements on the reach stacker design. 817 INNOVATION's improved design on end beam and main frame. a reinforced spreader with incresed life expectancy. The since previous generations well-proven Twistlock system, manufactured in a rugged design, carries all its benefits into the New Generation of spreaders. 817 INNOVATION has hardened ISO quick exchange pendular twistlocks that are hydraulically activated with mechanical interlocking against faulty locking and unlocking. with work light positioned on the end beam. 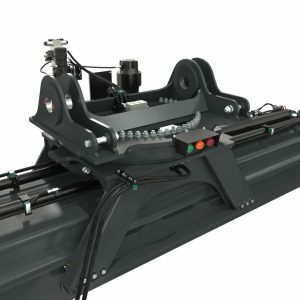 Telescoping is powered by one hydraulic cylinder for each end beam and sideshift is executed by one hydraulic cylinder. The cylinders are positioned on top of the mainframe which makes them easily accessible during maintenance. Rotation is done by a slewing ring with double transmissions for turning and brakes for holding. 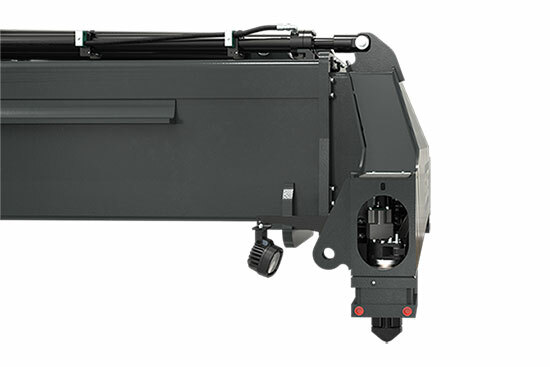 The ELME Neuron CAN bus system, designed for maximum robustness, monitors the state of the spreader at all times. Indicator lights advise the operator when the spreader is correctly seated, locked or not locked. Each signal is a precondition for the important protection functions of the spreader such as lift interrupt. Neuron uses J1939 protocol which provides fault code messaging to alert driver and maintenance personnel of possible component failures.